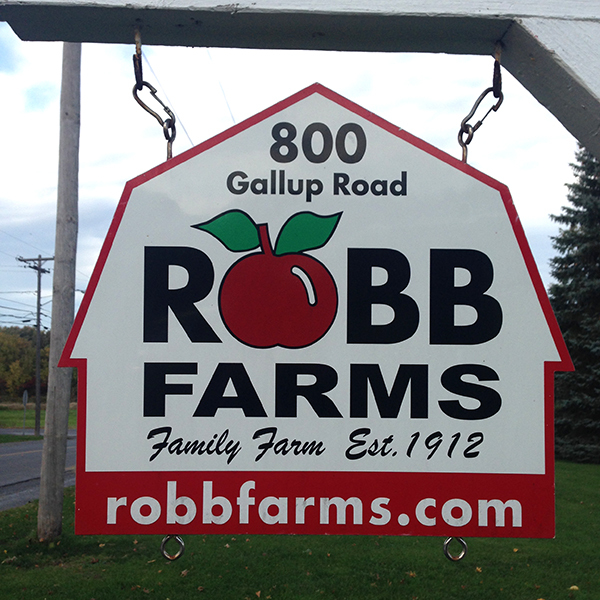 When I first started posting about my #rocfallfarmtour mission, several friends on the west side of Rochester recommended Robb Farms. I always take recommendations so we headed west. I was immediately greeted with the sweet, sweet words... APPLES N CIDER. 1. 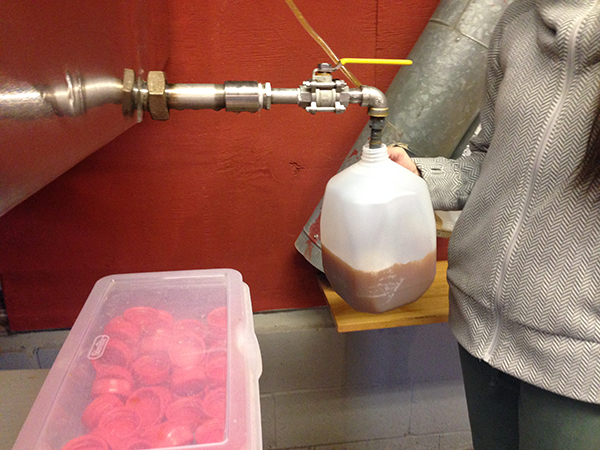 Cider - I'm used to going into the farm market and getting our jug of cider out of a cooler. 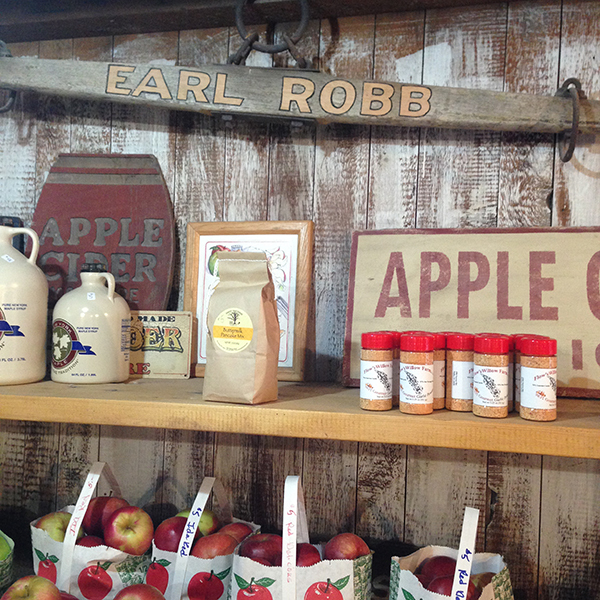 At Robb Farms, they grab a jug and fill it up right there for you! FRESH! 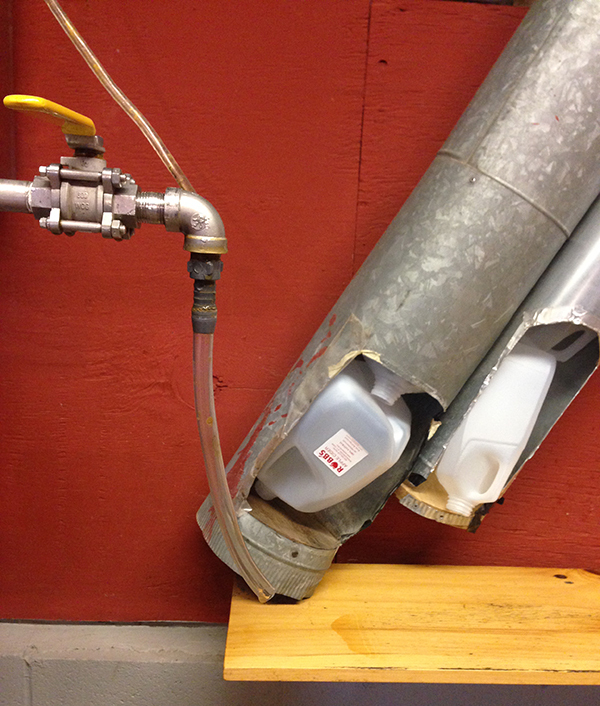 Look at these nifty tubes they concocted to dispense the jugs. We really dug those. 2. Donuts - they had three kinds of donuts... apple crisp, cinnamon sugar and plain. Yes, please. 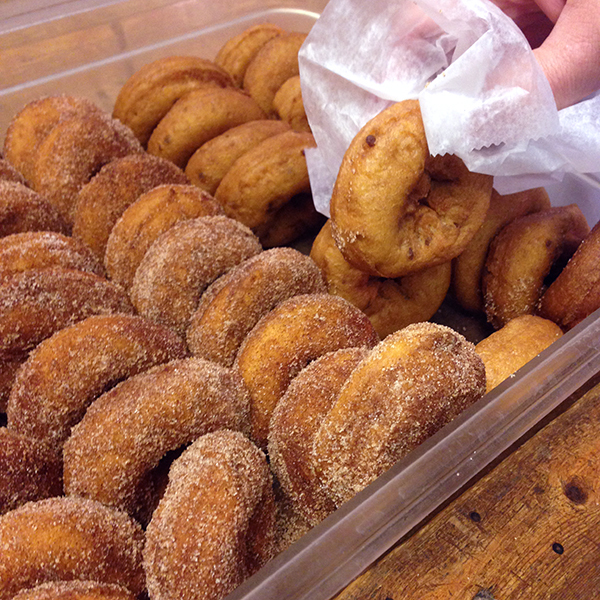 A dozen, please. 3. 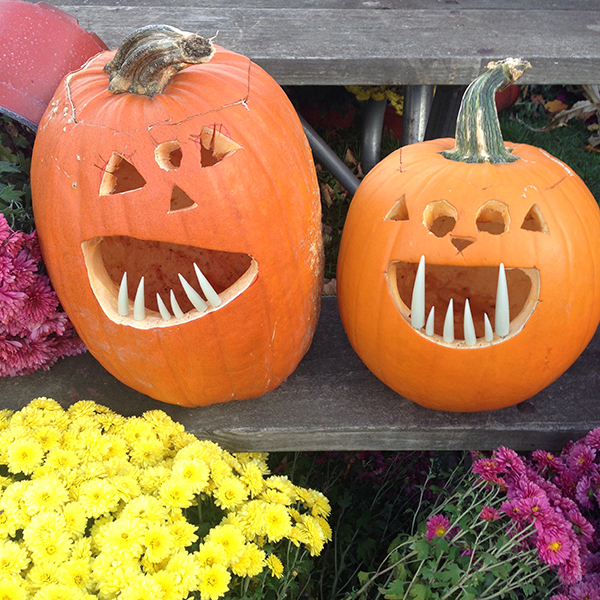 Pumpkins - they have a yard full of pumpkin selections. I was amused by these carved ones nearby. I think the teeth glow in the dark. 4. 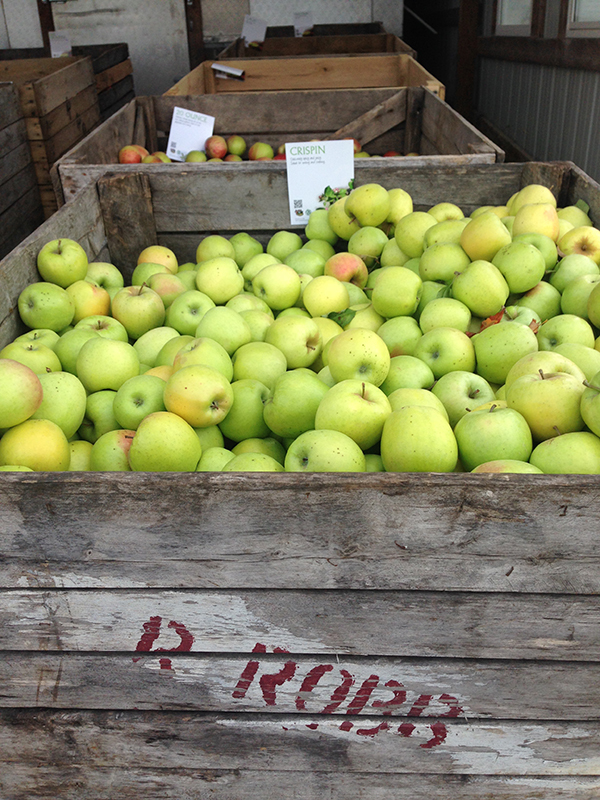 Apples - and they have lots of apples. Plus they offer u-pick, which I love. 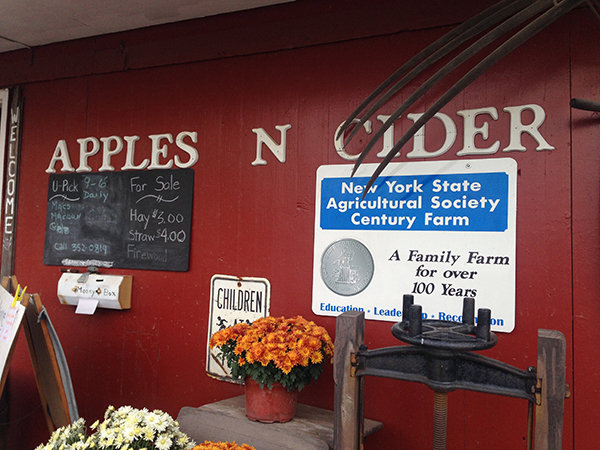 Robb Farms is smaller than some of the other cider mills and markets in the area but I like the family owned feel and you can't beat fresh cider!